Civil War Veteran John Wilbur Keith and his wife, Haseltine Long, daughter of a prominent Beaumont businessman, moved to Columbus in 1870. They built this house about 1871 and in 1875 sold it to local merchant Charles W. Traylor and his wife, Lura (Perry), granddaughter of early Colorado River ferry opeator Benjamin Beason. The Keiths' son, James L., and the Traylors' daughter, Clara, both born in this house, were married here in 1896. Alterations include the addition of a dining room, kitchen, Queen Anne detailing, and a bathroom. 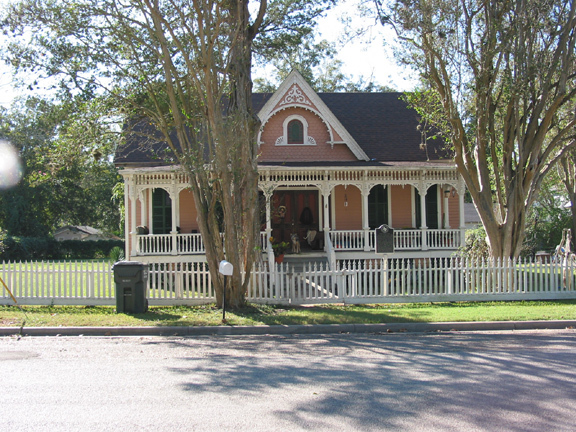 The house is a fine local example of late Victorian-era, center-passage design.